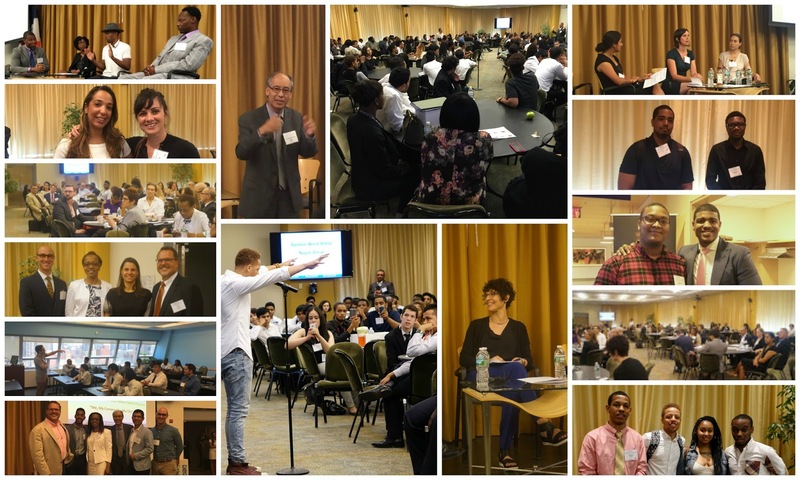 Spark House Founder, Najee Omar, sparked the room with an engaging keynote performance at JobsFirstNYC & Young Invincibles’ Adapting to the Future of Work Conference! JobsFirstNYC convened together 175 employers, business intermediaries, trade associations, nonprofits, public agencies, and local philanthropies to consider how New York City businesses can adapt to advances in technology, changing economic trends, and demographic shifts by creating cost-effective talent development pipelines. Panels and speakers grounded messaging in how to leverage different resources to best help out-of-school, out-of-work 16-24 year olds access economic opportunities. Spark House Founder, Najee Omar, presented on equity and access especially when envisioning and positioning youth as the Future of Work. Click here to learn more about Adapting to the Future of Work.